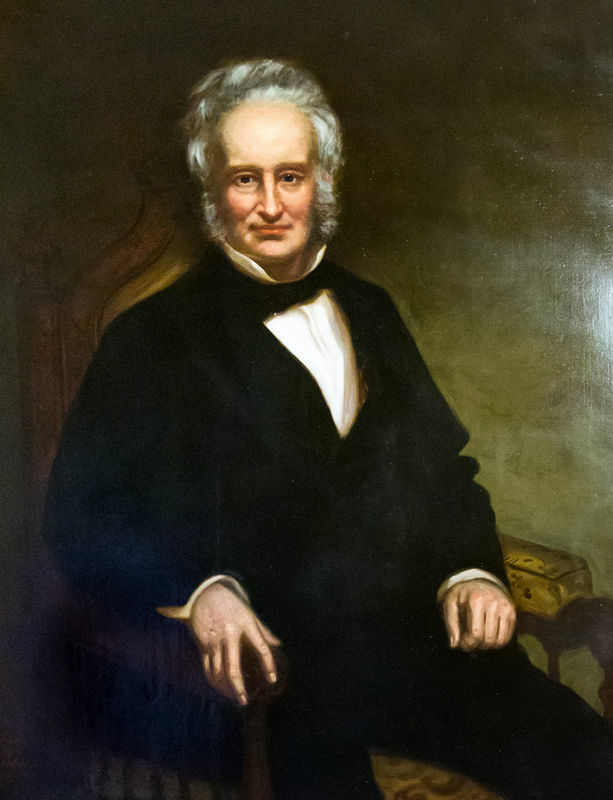 While Samuel Ward King, as Rhode Island’s other governor, was Dorr’s most obvious rival, his opponents were many. One of these opponents, John Brown Francis, had himself served as governor of Rhode Island a decade before King and Dorr. Francis, like Dorr, had been born to an illustrious family. His grandfather, John Brown, had been a merchant of immense wealth, and Francis’ father, John Francis, had gone into the profitable family business when he married Francis’ mother, Abigail. Unlike Dorr, however, Francis supported the status quo as codified by Rhode Island’s state charter. Francis was part of the three-man delegation sent by Samuel Ward King to D.C. in April 1842 to meet with President Tyler. King had charged this select group--Francis and Elisha Potter, Jr., conservative rural Democrats, and Whig attorney John Whipple--to seek the President’s support for the Charterite cause. Tyler assured the group that he would not hesitate to send military assistance should the need arise from a Dorr-led insurrection. The two opposing parties indeed appeared headed for conflict when they both attempted to take what each believed to be their rightful seat as the governing body of Rhode Island. On May 3, 1842, Dorr and the officials in his new administration paraded through the streets of Providence, from Hoyle’s Tavern eastward to the State House on North Main Street. Unfortunately, the Charterites had thoughtfully locked the building, barring Dorr and his followers from assuming power there. Instead, they had to convene in an unfinished building on Eddy Street. This site at 150 Benefit Street is the location of the Old State House. Portrait of Francis: This portrait of John Brown Francis is attributed to John Nelson Arnold, after George P.A. Healey. Francis' Grave: Image shows the grave of Governor John Brown Francis in North Burial Ground in Providence, RI. 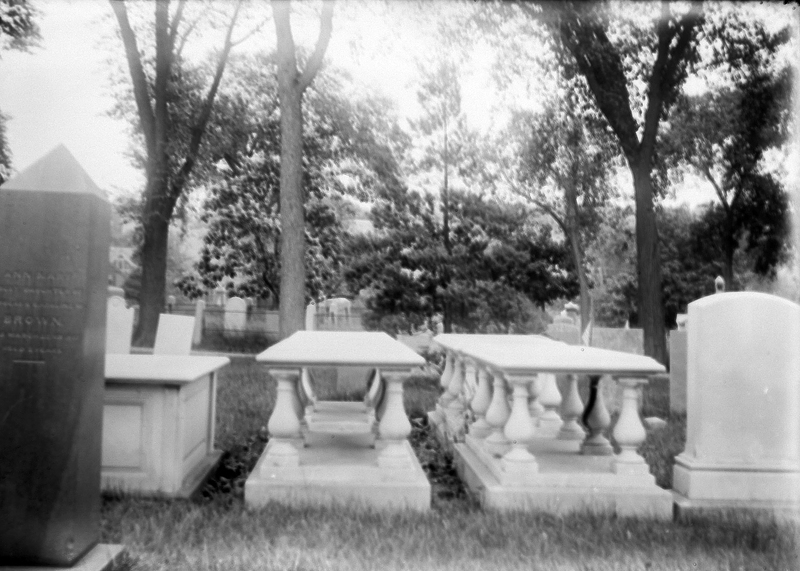 Governor Francis's gravestone is the dark obelisk on the far left of image. 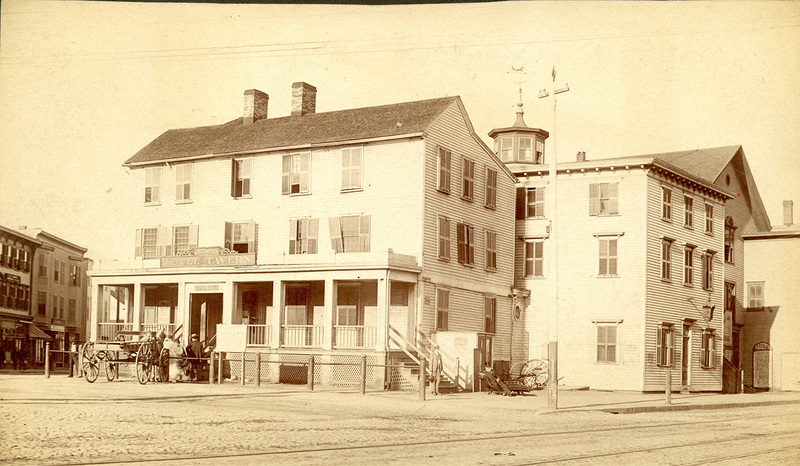 Hoyle Tavern: This undated photograph shows the Hoyle Tavern, where Dorr's new government began their parade on May 3, 1842. Today, the Old State House is the home of the Rhode Island Historical Preservation & Heritage Comission. Check out the work of the Comission and find out about their collections here. Elyssa Tardif, “John Brown Francis,” Rhode Tour, accessed April 21, 2019, http://rhodetour.org/items/show/232.